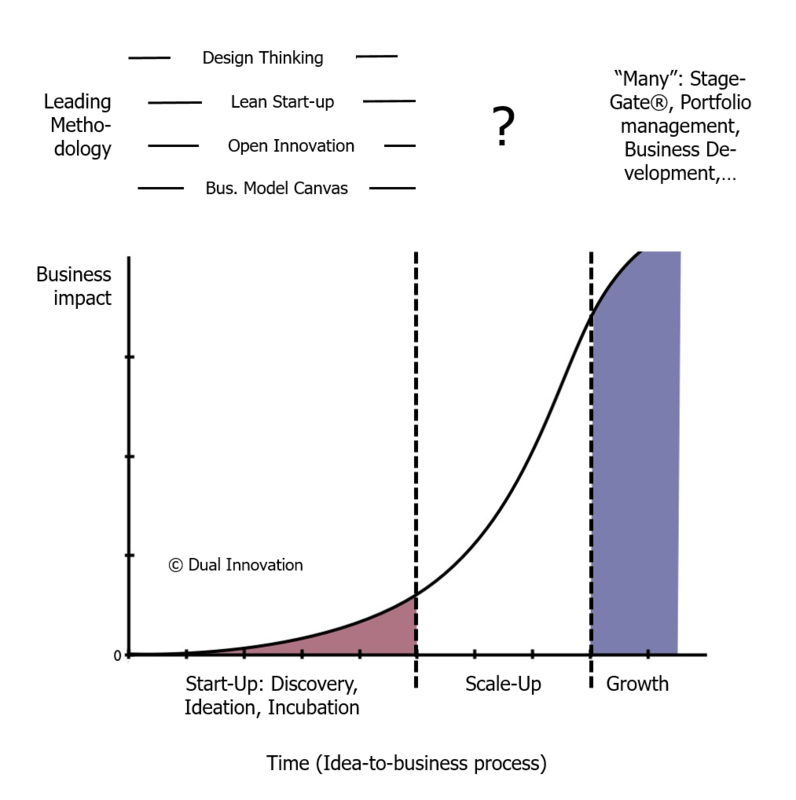 While there are many supporting methodologies to start an innovation project (design thinking, lean start-up, business model canvas, blue ocean,…) or to grow a proven business, there seems to be less support for the scale-up phase. 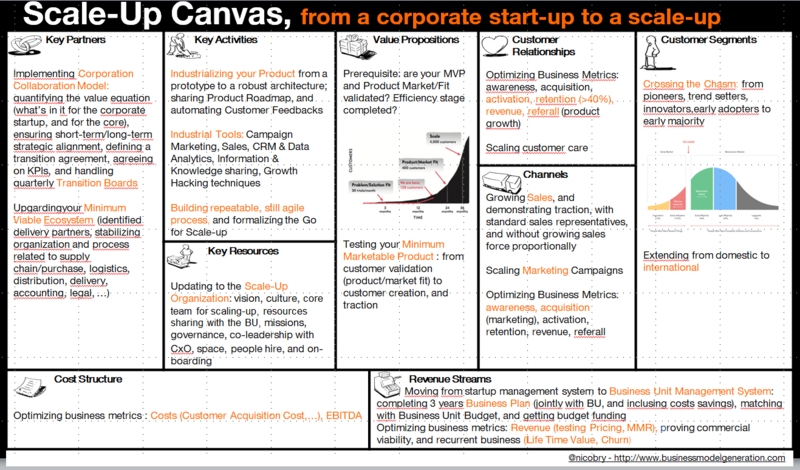 The Peer-Group has developed guidelines to transition a corporate startp into substantial business, specifying the When and the How to scale-up. 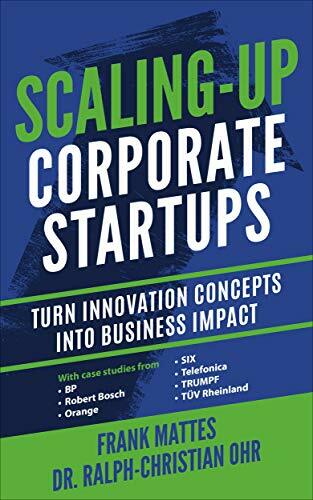 This comprehensive work is already available in a great book, Scaling-up Coporate Startups, swiftly orchestrated by Frank Mattes, which mixes methodological approach to scale-up, with companies stories from BP, Robert Bosch, Orange, SIX, Telefonica, TRUMPF, and TÜV Rheinland. 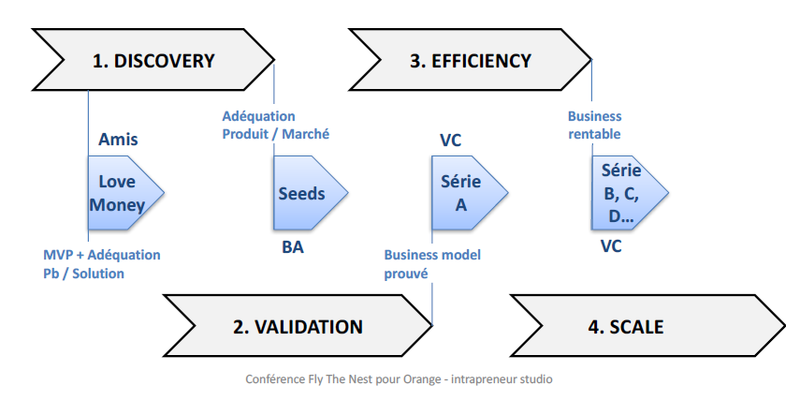 At Orange Intrapreneurs Studio, the time to get ready to scale corresponds roughly to the end of the incubation, and the execution of exit strategies: it migh be the hand-over to a business unit, the creation of a new Orange business line, or the spin-of to a separate start-up, for examples. 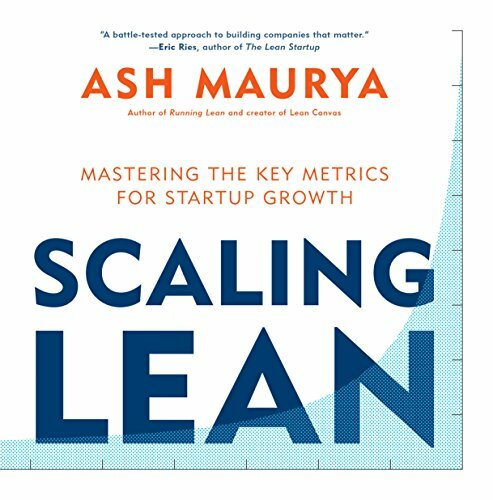 For the intrapreneurs and corporate startups that we incubate at the Orange Intrapreneurs Studio, it made sense to present a synthetic view of the scale-up book, an operative tool at their hand. 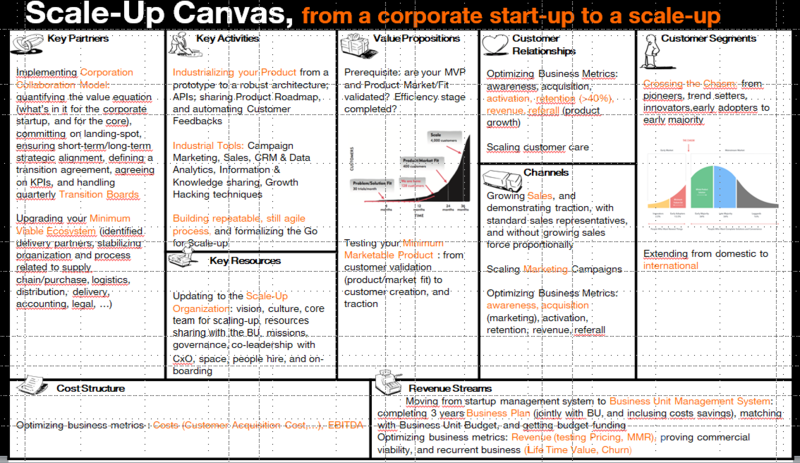 Transitioning the Start-up Management System to a Business Management System –> activities, revenues, and costs squares.